Dan “Pinky” Skorich, age 98, died at home on the Fourth of July, 2015, surrounded by adoring family. Pinky was born to Nikola and Sava (Blanusa) Skorich on March 23, 1917 in White City, MN, a mining camp north of Marble MN. He was baptized and confirmed at St Vasilije of Ostrog Serbian Eastern Orthodox Church in Chisholm MN, where he was a lifelong member. Dan attended Olcott Grade School in Marble MN, Calumet Junior High School, and Greenway High School in Coleraine MN, graduating in 1936. His football team was Iron Range Conference Champions in 1935, and he received All-Conference recognition. Dan was united in the Sacrament of Marriage to Maree Vranesh on Oct 17, 1937 at St Vasilije Church. They were married over 77 years, these last 75 years living in their Marble MN home. Pinky and Maree were blessed with three children, seven grandchildren, and seven great-grandchildren, including: children Dr. Michael (Helen) Skorich, Michele (Joseph, dec.) Picchiotti, and Dr. Daniel (Rosemary) Skorich, grandchildren Michael (Kay), Peter (Brenda), Nicholas, and Anthony Skorich, Danielle (Mitchell) Hesley, Stefan (Veronika) Skorich, and Aubry (Charles) Haben, and great-grandchildren Amanda, Megan, Sky, Mary, Liam, Anders, and Agnes, all who survive him. service. Honors included: Grand Marshall of the 2004 Greenway High School homecoming, and King of the Village of Marble Centennial in 2008. Maree and Pinky were awarded by Worldwide Marriage Encounter as Minnesota’s Longest Married Couple in 2012. Pinky received his nickname after a prolonged case of pinkeye as a child, and it stuck despite his development into a man of size and strength. Like most Iron Range men of his generation, he worked hard and played hard. Hobbies included fishing, gardening, card-playing, crossword puzzles, and making music on his concertina and harmonica. Later in life, he began writing poetry, which he loved to read to friends and family. He made friends easily and his friendships crossed all boundaries of age and class. Pinky respected honesty and integrity, and was proud of his Railway Union , the DFL, and Greenway High School athletics. Pinky is survived by his devoted wife Maree (who will turn 99 on July 31), and family. Other survivors include Darlene Skorich, sisters-in-law Dorothy Mock, Violet Day, Margaret Vranesh, and many nieces and nephews. He was preceded in death by brother Mike (Elsie) Skorich, sisters Mayme (Eli) Rajacich, Rosie (Tony) Valtman, and son-in-law Joseph Picchiotti. The funeral will be held at the Peterson Funeral Chapel in Coleraine MN on Friday July 10th, with the Very Reverend Radomir Plavsic officiating. Visitation begins at 10 am and the service begins at 11 am. A gathering of friends and family will follow at the Marble Village Hall. The family would like to express our extreme gratitude to the following angels on earth who were instrumental in allowing us to keep Dad in the comfort of his home: Larry and Carol Vail, Duane and Nita Rollins, Madonna Jenson, Karen Duffney, and caregivers Tony (grandson), Deno, Gerry, Amy, and Denise. In addition, we are grateful for the kindness and love given to Mom and Dad by Dr Michael Baich and dear friends Joe and Sue Miskovich, Joe and Wendy Zeleznikar, Duane and Rosa Bischoff, and Fr Paul Larson. 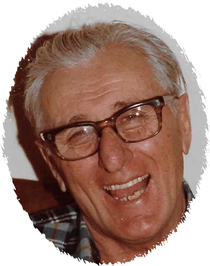 We are especially thankful to Fr Radomir who prepared Dad’s soul for heaven.